Category: Mediterranean Diet, Creta Recipe. 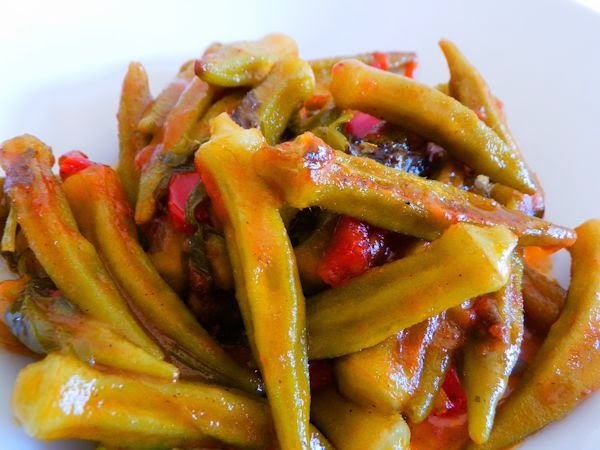 Cut the stems from the okras, wash them, drain, pour over 2-3 tbsp vinegar, stir and leave for 1/2 hour. In medium heat, heat the olive oilin a saucepan and sauté the chopped onion with the sugar, stirring every so often for 4-5 min. Add the okras and saute with onion for another 5 min. Add the balsamic vinegar, stir 1 minute and add the tomato and hot water (to 400 ml. ), salt and pepper and stir again. Once the temperature drops, sprinkle top with a pinch of chopped parsley and serve accompanied with feta cheese and bread.